There has been lots of hype recently about the increasing use of biometrics to transform our lives, especially in the area of face recognition for identity verification. To be fair, Samsung and other device makers have offered 2D unlocking technology on mobile phones for a while, but unfortunately, the results have been inconsistent at best. The latest approaches to face authentication use today’s tiny 3D cameras and AI-driven software to provide a much better technology. Apple, as it so often does, raised the bar again when it introduced FaceID on its latest handset, the iPhone X. While it is certainly convenient to be able to unlock an overpriced smartphone using the relationship between your eyes, nose and mouth as credentials, this is still a very localized and comparatively low-impact use case. But the next wave is coming. Imagine being able to recognize people using a 3D camera and AI-driven software, regardless of lighting conditions and not impacted by environmental factors like weather, body angle, positioning and location. Welcome to the exciting new world of in-motion 3D face authentication. 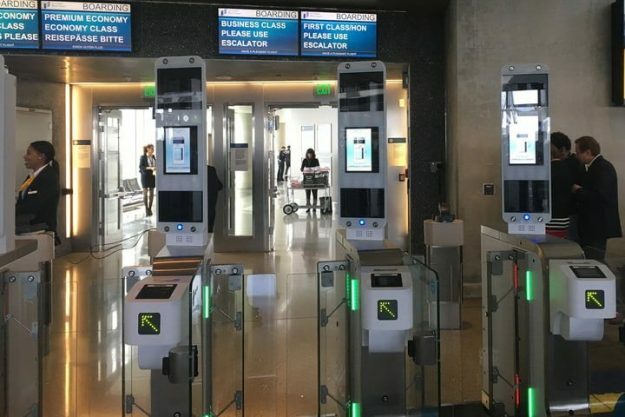 We are starting to see the application of 3D and AI software in the domain of transparent automated gates. More and more 3D cameras will be deployed to support in-motion settings, enabling security personnel to more easily monitor access to large public venues. Airports, train and bus stations, malls, popular tourist attractions, government buildings, hospitals, ports and more could potentially benefit from this new surveillance technology. 3D face authentication in these settings has the potential to deliver a transformative effect, way beyond facilitating access to your latest selfies. The use of 3D cameras removes variables caused by environmental conditions, such as camera location and subject size, as well behaviors including walking speed, face direction and sight line. The resulting high-definition 3D images are being used by security services to harvest valuable information captured in realistic outdoor environments regardless of the time of day — in bright sunshine at noon or total darkness in the middle of the night. By analyzing multiple images from different directions and extracting key information, the tools can create a 3D version of a person’s face, which can then be rotated and viewed from different angles. Skin reflectance data is also captured and can be used to produce synthetic poses of any face captured by the device. While using images from video cameras for face recognition has been around for a while, we are about to see powerful, tiny 3D cameras and AI-enabled software transform in-motion security. Virtually spoof-proof face authentication is the next phase in high volume people identification, making the jobs of security personnel easier and citizens safer.